Who doesn’t love a nice cold glass of fresh juice. And if you are someone who is mindful of their health and fitness, you must have heard the immense advantages that masticating juicers bring to the table. If you are someone who is just starting out on their fitness journey, let me explain what exactly the difference between a masticating juicer and a traditional centrifugal juicer is. A traditional juicer tears apart the cells of the fruit or vegetable you are juicing and uses centrifugal force to extract the juice from the pulp. This causes a loss of enzymes and nutrients and also causes oxidization which shortens the shelf life of the juice to just 24 hours before the delicious liquid starts to decrease in nutritional value. On the other hand, a masticating juicer uses a screw like component to slowly apply pressure on the fruit or vegetable, extracting the juice without tearing its cells apart. 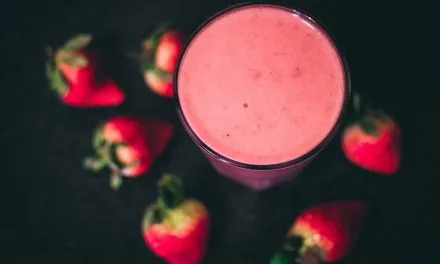 This is a slower process but the end results are a nutrition packed glass of your favourite juice, that can be stored in the fridge safely for up to 3-5 days! 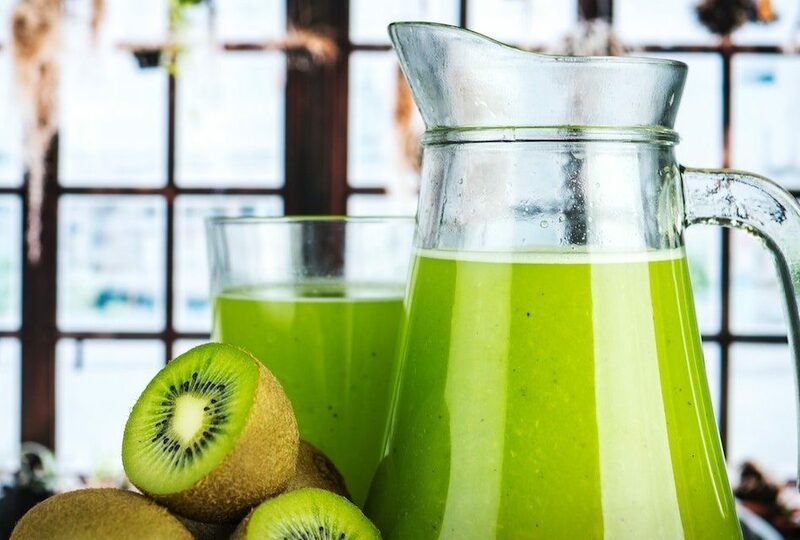 Now that you know the primary difference between the two, go through this list of the best masticating juicers to help you choose the best option. 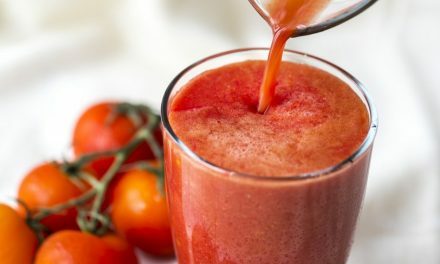 I have tried my best to include the best budget masticating juicers and also some high-end options that you can pick and choose according to what suits you best. The Omega J8006 Nutrition Center is a fan favorite with countless satisfied users. They claim to be industry leaders and back up their claim with a 15-year warranty that covers parts as well as performance. The J8006 operates at a low speed of 80 RPMs which results in a minimal rise in temperature as well as a low rate of oxidation in the juices that promote healthy enzymes. The result is longer lasting juices that are healthy as well as delicious. This process extracts all the nutrients, vitamins and taste from the fruit or vegetable that you are juicing. You can use the J8006 to juice fruits, vegetables, leafy greens and wheatgrass. The Omega J8006 is called the ‘Nutrition Center’ because it’s highly multipurpose. Not only is it one of the best masticating juicers for leafy greens but it can also be used to make your own nut butter at home. No more buying jars of packaged peanut and almond butter! You can also use it to extrude pasta for a delicious fresh pasta dinner, grind your favorite coffee beans, grind spices to make your own mix and mince herbs and garlic to take your cooking game to the next level. It can also be used to make baby food and frozen desserts, and whip up some soy milk in no time. In short, it is the perfect companion for you in the kitchen, especially if you are a healthy eater or vegan. The Omega J8006 gives a high juice yield with very dry pulp that you can recycle for soups or compost. The automatic pulp ejection lets you juice continually without having to remove the pulp buildup in between juicing. It’s very stable on the countertop because of the four stabilizing feet and it operates with minimal noise so you don’t wake up your family or neighbors in the early hours of the morning! The Omega J8006 is easy enough to assemble and clean and measures approximately 14.5” x 6.5” x 15.5”. It operates on 110/120 voltage. All in all, the Omega J8006 Nutrition Center is a solid machine that can enhance your lifestyle with its multiple usage techniques. If you are someone who prefers taking the time to invest in your health then this might be the best masticating juicer for your needs. It’s reasonably priced if you consider the health benefits and the features and will last you a good 15 years before the warranty even runs out. The Aicok Slow Juicer is one of the best masticating budget juicers in the market right now. It has all the juicing features of a high-end masticating juicer and is reasonably priced. It has an 80 RPM slow mastication and grinding system that extracts 90% more nutrition from fruits and vegetables than a traditional centrifugal juicer. The seven-segment spiral allows the fruit or vegetable to be completely juiced, allowing for a higher yield while keeping oxidation at a minimum. The slow process ensures less transfer of heat and friction, retaining vitamins, enzymes and minerals. The end product also has lesser foam as compared to a traditionally extracted juice. The Aicok extracts the juice from the pulp completely, resulting in a dry by-product that you can store for later use. The Aicok operates at a low sound of 60 decibels making it ideal if you don’t like too much noise in the house or if you have a sleeping baby around! The PMMA material is safe and easy to assemble, operate and clean, and the parts are dishwasher safe so you don’t have to worry about cleaning up a huge mess after enjoying a glass of your favorite health packed juice. There’s a handy reverse feature in the Aicok that can be especially useful in the case of a juice jam in the extractor chute. The reverse function can quickly and effectively solve any jams. Although the Aicok comes with a 3-year warranty and lifelong technical support, there are a few things to keep in mind before you start juicing. It is recommended to only use the juicer for 20 minutes without taking a break to protect the motor. Also, the juicer cannot process hard materials such as large seeds, ice or frozen products so it’s best to avoid these. If you are someone who is looking to take up the juicing lifestyle or to make small investments in your health to see if you can keep it up, the Aicok slow juicer is one of the best budget masticating juicers in the market that you can try. With the health benefits of a high-end juicer and dishwasher compatibility make it a good choice for a beginner or intermediate juice enthusiast. Plus, the 3-year warranty gives you some peace of mind that your investment will not give out on you anytime soon. The Tiluxury Slow Juicer is a vertical slow masticating juicer for leafy greens and other fruits and vegetables. The vertical design makes it horizontally compact and aesthetically pleasing enough to place on the countertop as part of your kitchen décor. The juicer has a powerful 250W AC induction motor which can process almost all fruits and vegetables quite easily. The speed is super low, 40RPMs, which ensures that the maximum amount of vitamins minerals and enzymes are extracted. As with all of the best masticating juicers, the Tiluxury’s slow masticating process prevents oxidation and gives you long-lasting juices. The juicer can be used continually for 30 minutes and if it is overheated, there is a protection system in place which automatically stops the machine. So, you never have to worry about overheating or destroying your motor. The juicer can be manually started back up after a safe ten-minute window. Vertical juicers are said to have an 18% higher juice yield than horizontal juicers because of the design. Although this juicer can process all kinds of fruits and vegetables such as apples, pears, oranges, cucumbers, strawberries, parsley, kale, onion etc, the key is to cut the produce into small pieces so as to not put too much pressure on the motor. The juicer works at 40 db which is really handy if your family is sleeping and you want to quietly prepare a healthy breakfast juice without disturbing anyone in the house. Since the juicer is made of food-grade high-quality materials certified by ETL, CE and ROHS, you can be sure that it’s safe to use even for prepping juices for your little ones. The Tiluxury is fairly easy to use and to clean. It features a clog-free design that is safe to assemble. It comes with a reverse button that is useful in the case of clogging. If any fruit or vegetable gets stuck in the extractor chute, all you have to do is press the button for 4-6 seconds and it will push the objects back up. You can then open the juicer and clean the parts and resume juicing. But you can avoid all of this completely by just following Tiluxury’s instructions and using small pieces of hard fruit and vegetables and also alternating between high fiber and low fiber foods. The Tiluxury claims to be one of the best masticating juicers and offers excellent customer service. They offer a 10-year warranty on the motor and a 2-year warranty on the accessories. The Tiluxury slow masticating juicer is a device that would be a good choice for someone who doesn’t have a lot of countertop space since it doesn’t take a lot of space horizontally. Although the juicer does not over a long-term warranty on accessories, you can still bank on their customer service to guide you through any hiccups you might face. The Mooka slow masticating juicer can be used to extract juice from various fruits and vegetables including ginger, leafy greens as well as hard vegetables! So if you are someone who loves a glass of wheatgrass juice, this is the machine you should consider. As with all the best masticating juicers in the market, the Mooka rotates at a low speed of 80 RPM that keeps nutrients intact and prevents oxidation giving an 80% higher juice yield. The juice that you extract through the Mooka can be stored up to 72 hours without the nutrients degrading or the juice separating. The Mooka has a stylish white and silver design and would be a great addition to any kitchen. The dimensions are 15.8 x 10.2 by 9 inches and it weighs approximately 9 pounds. It’s easy to assemble and operate, and it’s easy to clean as well. The Mooka slow juicer is made with the latest technology and has been awarded UL, ETL and FDA certification. The accessories are all BPA-free and are dishwasher safe so you can be sure that your family’s health is in good hands with the Mooka. The motor operates at less than 60 db, eliminating noise pollution. The Mooka comes with lifelong technical support and customer service. The motor has a 10-year warranty whereas the remaining parts are covered by a 3-year warranty. 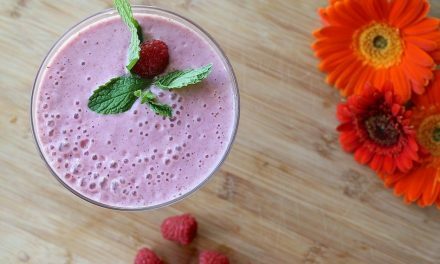 What’s really special is, after you make your purchase, a free recipe e-book is sent to you so you don’t have to look around online for the best juice recipes. This is especially helpful if you are just starting out on juicing and need a while to explore the different flavor combinations before getting creative on your own and making your original juice recipes come to life! The Mooka is a stylish addition to your home if you want to invest in a device that can make everyday juicing fun for you and get you on the right track towards better health. It’s reasonably priced so you don’t have to worry about breaking the bank. It could be considered one of the best budget masticating juicers out there right now. The machine is simple to assemble and operate whether you are a juicing novice or a seasoned expert. Tribest has a great line of masticating juicers and the Green Star Elite 5050 is no different. It gives you a higher and longer lasting juice yield because of it’s unique twin gears that are made of stainless steel and stain resistant nylon. The bio-ceramic magnetic technology creates a magnetic field as you juice, so that the juice is absorbed more easily into your body. The motor operates at a slow 110 RPM, to prevent oxidation and loss of enzymes. The Greenstar Elite uses three stages of mastication to extract the juice– slicing, cutting, and triturating – at a rate of about 100-120 chews per minute. This is made possible by the special design features in the gears including pocket recesses for slicing, cutting points to break down long stringy greens and a trituration-mixing stage at the end of each gear. This type of mastication mimics the way our body breaks down food in the first stage of digestion. So, even though it’s impossible to eat tons of fruit in one go, you can still get the health benefits of the produce by drinking the nutrient-rich juices. The thing I love about the Greenstar Elite Juice Extractor is that it can be used for so much more than just making juice. It comes with homogenizing accessories which make it easy to prepare baby food, nut butters, breadsticks, pates and frozen sorbets! 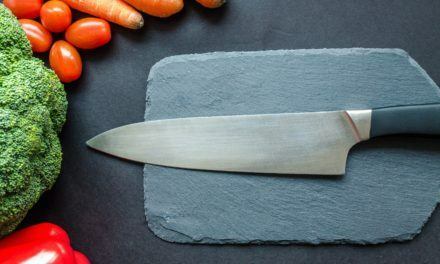 It is also U.S. commercial-certified for use in commercial kitchens, juice bars, and cafes, so you can be sure that it’s a durable investment and it’s powerful enough to last you decades. All the parts of the Greenstar are made of high quality, BPA-free plastics except the twin gears which are completely stainless-steel. The plastics are also stain resistant so you can juice colorful vegetables without worrying about staining the machine. The low RPM has the added benefit of operating quietly, so you can enjoy your juice any time of day or night. The Greenstar comes with a 15-year manufacturer’s warranty for household use, and a 3-year warranty for professional use so you can be confident of making fresh, healthy juices for a long time to come. Although a pretty steep investment, the Greenstar is perfect for the dedicated health enthusiasts who need a sturdy and efficient partner in their fitness journey. If you think all the features of the Greenstar will really come in use for you frequently, it’s a good option for you to choose. Hopefully, this has been helpful for you in choosing the best masticating juicer for your kitchen. As you can tell, all the options listed in this post are good investments and come with their own set of pros and cons. According to our score, our top choice for the best masticating juicer for leafy greens would have to be the Tribest Greenstar Elite Masticating Juicer. It not only delivers on quality, durability, multi-purpose capabilities and health benefits but also comes with a great 12-year warranty that makes it a sound investment for anyone. But if you are not someone who wants to juice every single day and make nut butters every other month, you might want to go for the Aicok Slow Masticating Juicer. It’s one of the best masticating budget juicers available and it’s really quick and simple to handle as well as clean up in the dishwasher. At the end of the day, it actually really depends on what your juicing requirements are and how much you are willing to spend. Something to keep in mind while making your decision is to make sure that the juicer you are choosing has its accessory parts readily available in your area. I really hope that this review helps you make the best choice for your health and purchase the best masticating juicer for you and your loved ones.